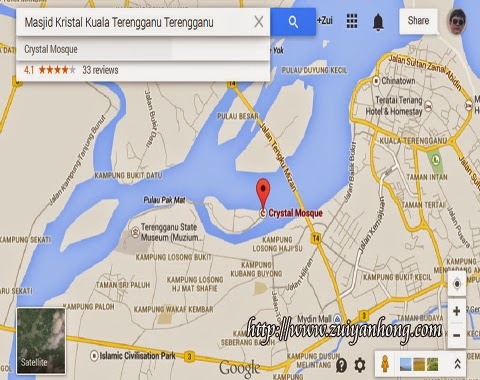 We moved to Crystal Mosque after visiting Trengganu State Museum. 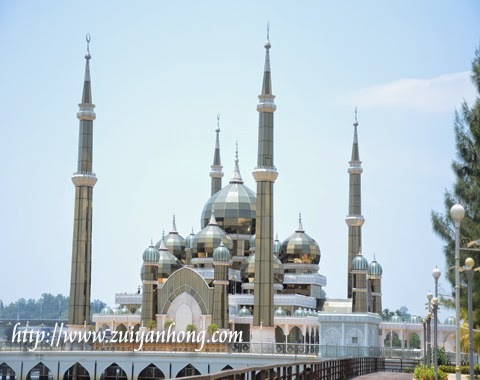 Located at Wan Man Island, Crystal Mosque was completed in 2008. 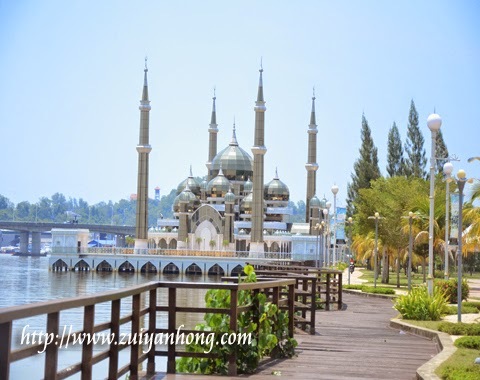 Built at Trengganu River bank, Crystal Mosque has turned into a popular tourist attraction in Kuala Trengganu. 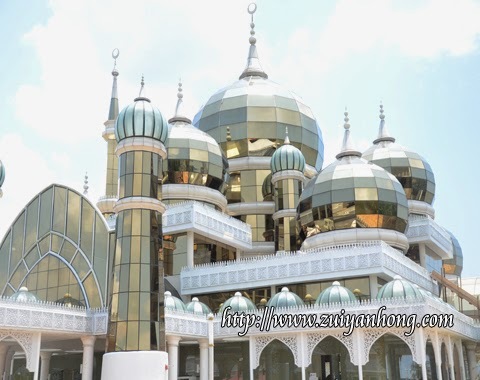 Crystal Mosque is an amazing building built with steel, glass and crystal. Apart from Muslim visitors, Crystal Mosque also attracts other visitors because of the unique structure of the mosque. 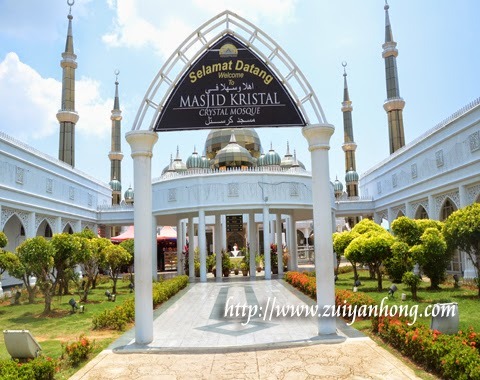 Crystal Mosque will be flooded with visitors during weekend and school holiday. As far as I know, there are no resident at Wan Man Island. That's why not many Muslims pray in Crystal Mosque except tourists who visit the mosque.